I have such a deep and abiding love for Space NK, and their products and campaigns always resonate very deeply with me. 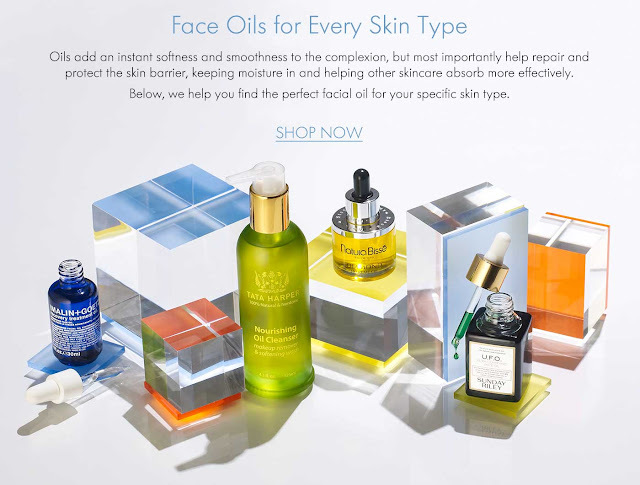 They have compiled a lovely selection of Face Oils, and have categorized them according to skin type– thus making it extraordinarily easy to select the perfect face oil for the needs of your skin. Take a look at their marvelous selection HERE.